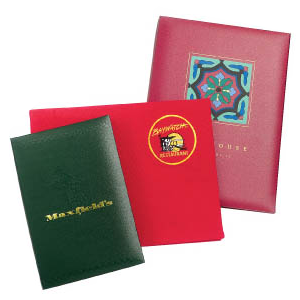 These sophisticated covers are made with rigid chipboard using fine quality linen book cloth. A one area hot stamp is included. These menu covers are chosen for their versatility in terms of look and feel. They are basically designed and manufactured using rigid chipboard and fine linen cloth. We also provide one area hot stamp for the logos and names.